Twenty magnetic dinosaurs eager to play in the twenty-first century! 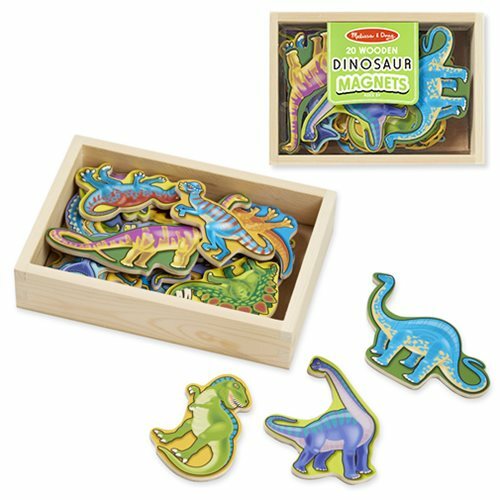 Bright colors add excitement to this dino collection contained in a convenient wooden case. Ages 2 and up.